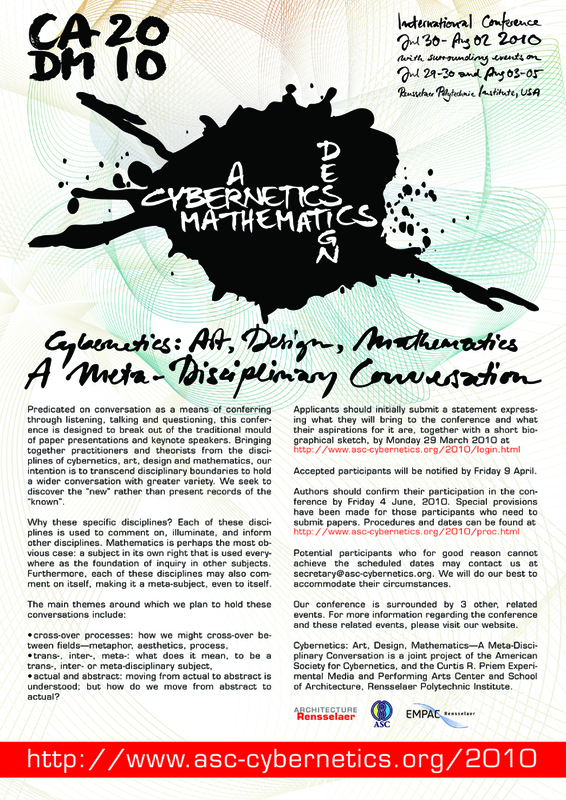 The National Humanities Center cordially invites you to participate in an online discussion of creativity and computers in our Forum, On the Human (OTH). OTH is a virtual community of academics at http://onthehuman.org where we share research on the relevance of the sciences for the study of what it means to be human. Professor Margaret Boden (Cognitive and Computing Sciences, University of Sussex) will discuss the question, Can computer models help us to understand human creativity? in a post on Monday, May 10. All are invited to join an asynchronous conversation beginning on that date and ending at noon on Tuesday, May 18. Professor Boden will respond in a final post on Friday the 21st. participants in C:ADM2010 to take part in this online debate. Please visit http://onthehuman.org to take part. You will see Prof Boden’s name in the left hand pane. This is one of the events we are co-ordinating and working to bring you in the run up to our conference, and we encourage you to take part.